My sprite looks really pixelated in the game, it is the same when I run the game on android. This is the default png file that I'm using and as you see it is smoother. I tried changing everything 1 by 1 in the sprite settings to see if something would change, and it only gets a bit smoother but very, very blurry when I set the Max Size to 32 in the import settings of the sprite. I disabled the "Compress assets on import" in the preferences menu. Tried changing everything in the inspector 1 by 1 to see how it changes the looks of the sprite. It only gets a little bit smoother when it's Max Size is 32. I tried changing the Filter Mode. Tried removing the compression (setting it to none). 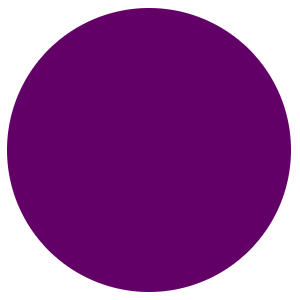 Just now I noticed that if I import a bigger circle (300x300) and scale it down to the same size, it also becomes pixelated but only in the Game view. In the Scene view, the 300x300 images looks really good. Check below images, first from scene view, second from game view. oh yes downscaling is an option too, but instead of downscaling i recommend you to import high-res sprite than increase pixels per unit to a higher value. this may save you some headache causing by scaling at future. Does it need to be as a sprite? I've experienced this, and solved by importing it as a transparent texture. How would I do that? There is no "transparent texture" in the drop down menu at "Texture type"
I just use a Transparent PNG file (with transparency in the file), and import it with the default settings. Then with InputTextureAlpha as the Alpha Source, and Alpha is Transparency checked, I get smooth circles in materials. Of course, if the material requires a sprite, I'm not sure how that'd be fixed. I'm using the sprites-default material. It's a 2D game, do I need to change the material of the sprite in order to achieve smoother circle?